"That’s absolutely something we’d explore in time"
It doesn't take much imagination to picture how amazing Hearthstone would be on Switch. That large screen would be perfect for the game's touch-based interface, and when playing in docked mode you could use the motion-sensing Joy-Con to control a mouse-like interface. What's not to like? I dunno, I don’t think anyone is working on it, but I wouldn’t rule it out either. Moving to tablets and phones was awesome. It made Hearthstone way more accessible for way, way more people, which is fantastic. If there are other consoles or platforms that are good for us then that’s absolutely something we’d explore in time. Of course, our hopes have been built up before, and Whalen's voice isn't the only one within Blizzard talking about this. How badly do you want Hearthstone on your Switch? Let us know with a comment. Okay, I won't rule it out, but I also won't expect it. And I most likely won't play it. Not a fan of Hearthstone myself, but it would definitely be a perfect fit for Switch. Not bothered. I just play it on tablet/smartphone. Nintendo assumes that everyone has a smartphone, so they made that mandatory to voice chat. I would rather use my smartphone to play Hearthstone and my Switch to voice chat and not the other way around. Has asset size been addressed on mobile platforms, though? I usually chuckle at the memory laments, but my friend had Hearthstone on his phone and could barely keep anything else installed for a while because the relatively uncompressed artwork piled up by the update, eating storage space for breakfast. I'd rather not need a separate micro SD to keep the full game on just for the sake of boasting wall carpet resolution portraits. Anyone who thinks this is ever likely to happen is only kidding themselves. Without a data connection the Switch would be far too limited compared to smartphones/tablets, so a Switch version would hardly ever see any use. The only potential benefit would be the possibility of attracting players from a different audience, but I doubt the benefit of that would ever make it worthwhile. As much as I think of Hearthstone as an oversimplified, poor man's Magic the Gathering, I'd probably give it a go on the Switch - especially if it's free to start. I'd love that. I'd definitly get more into it. Why not add in Overwatch to the mix as well? 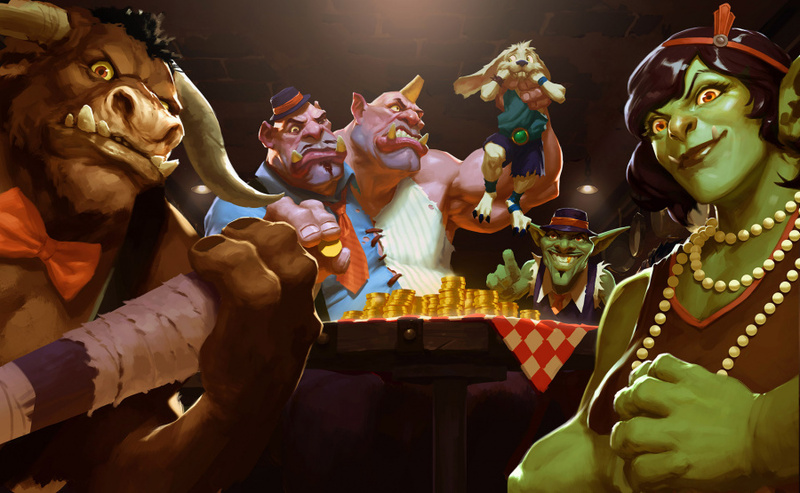 Hearthstone is great if it's sold as a console game and not Play2Win mechanics. if it comes, I will give it a chance. Why the hell would the switch be the ideal place for hearthstone?? First, it doesnt have mobile data, second why not just use your phone!? Its free! "I'm sorry, ever since November 6th, TheHumbleFellow has been in a coma and hasn't woken up. We believe a Blizzard of some kind put him in this vegetative state." @Nassov don't sleep on splatoon 2. I have been playing a lot of destiny 2 and halo 5 on Xbox, but this weekend I finally booted up splatoon 2 and it was a blast! Also I'm not the biggest overwatch fan so I'd rather have hearthstone than overwatch on switch. Especially since I deleted it off my phone to free up memory. As for Hearthstone, well, if Arena of Valour makes it over, I don't see why Hearthstone can't/shouldn't. Only thing is, that you'd probably have to buy packs via the Eshop, and I'm not sure how Blizzard is towards that. Explore in time...wtf Blizzard. Hearthstone on Switch is a no brainer.... You could port it in one month. And why Diablo 3 (the PS3 version) isn't already on developement? 1. HS is playable on almost any computer made in the last 5-6 years. 2. HS is playable on almost any smart phone or tablet made in the last 3-4 years... or all but the most budget options. 3. HS needs to be online, it is predominately a multiplayer game after all and your card collection, and rank are all kept on the server to be accessible on any other device you use. The Switch doesn't support 3G or 4G, so you'd either need pocket wifi, or a tethering phone. If you have pocket wifi you almost certainly already have a tablet or phone and in which case, is playing on the Switch really needed? ESPECIALLY if you are just using touch screen controls. Not to say I wouldn't still use it on the Switch. The Switch is far more comfortable to play games on than a tablet or phone. Overwhelmingly so. Just that with the game already on so many platforms and so interconnected, adding yet another platform for the game and another team of people to keep it in sync with the other versions of the game might make it not worth it on Switch. Plus it would probably require some additional support from Nintendo for connecting the Nintendo shop to Blizzard's system and linking your battle net to your Nintendo account. Lots of behind the scenes stuff there. I tell you straight up, 99% of HS players would not play if they were forced to make a separate account. I personally would prefer to see the Magic Online game come to the switch. Sorry but f**k Hearthstone DireWolf Digital need to port Eternal. Huge Hearthstone player here. It's not for everyone, but it's been successful because it's a whole lot more accessible than other similar card games. That being said, having Hearthstone on Switch doesn't excite me very much, mainly because the touchscreen is small, playing docked with controllers seems like it'd feel awkward, and the Switch WiFi adapter is pretty unreliable on the go. @thefoxystoat "is there a tablet besides whatever the latest iphone that can run hearthstone at more than 10fps? i dont think so. a switch version would be amazing"
Not sure what devices you've been using, but I've played Hearthstone across 2 different iPads and 3 different phones (mostly Android) and it has aways ran great. It would work on the Switch. The local multiplayer features that the Switch offers could be really really good for this type of game. Oh I am ruling out Blizzard. And EA. And Capcom. Infact I am ruling out most third parties because its easier. I have better things to do with my time than wonder why these companies don't like money. I'd be perfectly ok with this. I can't play WoW at work but this would hold me over lol. @cfgk24 You can buy packs ofcourse with either ingame earned gold or real money but you can get or craft any cards without paying anything. You can even buy the signle player adventures using ingame gold. The only thing unique you can buy for real money are cosmetic heroes. It would free up a lot of space on my iPhone, and my switch and a 256gb sdcard would be happy to store it. @TheHumbleFellow Don't worry. I'm in the exact same boat as you, if you couldn't tell already. @Nassov heha, dont see Overwatch coming anytime soon. Sides we already have a shooter, Splatoon 2. This game is a lot more fun then OverWatch (in my opinion). And as someone menyions, we also have Doom coming to the Switch next week. @UmniKnight, challenging and difficult no doubt but if it's worth it to Blizzard I'm sure they will. Overwatch is constantly changing and adding things, I can see why constantly patching another system on top of the ones already running would be a headache for them. But if it's worth it $$$ they may well do it...DO IT BLIZZARD !!! @Grogan There's another catch though, the Switch isn't guaranteed to be always online, something you MUST be for Overwatch. @Grogan Though at the same time, Japan is slated to receive 2 MMO's soon. How does that work? How does a hybrid console, that can be portable at any time, work with always online? Not all games have to be portable just because the console can be. @UmniKnight Talking of MMO's The Elder Scrolls Online is £7.50p on Xbox Live at the moment. Bargain ?